Here we are, another new year. Yikes! How did that happen again? 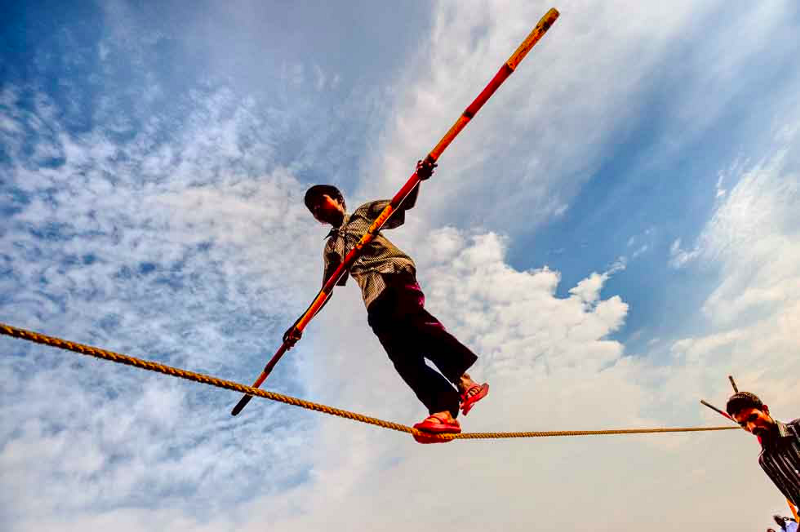 2014 is already a week old, and like many of us, I am on a path to better heath, better eating, and more fun. You might not know that I love to cook, and try new cookbooks and recipies all the time, paired iwth wine. You might also not know that I hate to cook for myself. Yes, it’s true! Cooking for one is a pain: with no dishwasher, and limited counter space, it means a pile of pots and pans, and creative us of my counter. I have been in a bad pattern lately, stress eating, ordering too much takeout, and just not thinking about what I’m eating . As a result, some of the weight I lost in 2012 have found it’s way back to me. While I don’t generally dwell on the numbers, I do worry about my overall health and am determined not to let the battle of the bulge be lost to stress and depression. No sirree! Luckily, the good folks at Cedar Fort Publishing and Dalyn Miller Public Relations have given me inspiration and ideas on how to cook great food both on a budget, and with the magic of my slow cooker. Paleo has been trending for a few years now, and in my opinion is bascially Atkins / South Beach / The Zone / Sugar Busters /Whole9 on steroids. In fact, my research shows that pretty much every “trend” diet is the same, with a few tweaks. That said, I like that the Paleo lifestyle emphasizes all natural, high protein, low or no carb foods that are unprocessed and full of flavor. Yay! If you know me, you know I’ve always battled the bulge, and while I am passionate about wine, food, travel and cocktails, I still need to balance it with health. I’m happy to say a Paleo-like plan helped me immensely in 2012, and I’m ready to reboot in 2014. The first cookbook, Paleo on a Budget is full of recipes that are friendly on the wallet, as well as your eating plan. After flipping through the pages looking for a few good recipes that I could make and save (a single gal’s secret weapon), I went with Pork Loin Chops with Apple Cider, and Onions. I paired that with scrumptious Brussells Sprouts & Bacon in Balsamic Glaze. Yozah! As someone who has ALWAYS said I would never eat Brussels Sprouts since they reminded me of the dirty gym socks that my mother tried to pass off when I was growing up, I was impressed and amazed at what they could actually taste like. And they were legitimately Paleo! Well according to my version anyway. Paleo on a Budget is a beautiful cookbook with full page pictures and easy to understand instructions, in well thought out recipes that won’t take 3 hours to prepare. 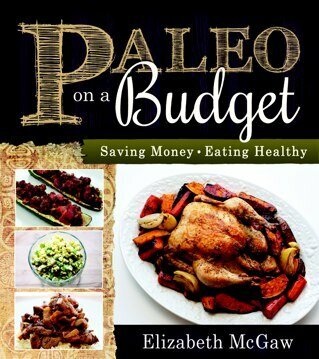 Author Elizabeth McGaw runs the Paleo on a Budget webiste, with handy weekly meal plans and advice for the Paleo beginner (me!). I paired the yummy pork with both an Oregon Chardonnay, as well as a lighter Piniot Noir. Both worked well and brought out the fruity notes of the apples and cider vinegar. The Paleo lifestyle can be super strict or not so much, and while I’m not going to go in to the details of the plan here, I will say that it can go from no grain, no butter (but ghee is acceptable), no fermented foods (the horror the horror! ), to a somewhat looser version where bacon, the occasional glass of wine, vinegar and other foods are allowed. Since I firmly believe that every in moderation is crucial, I tend to adapt the plan to suit my wine filled lifestyle while still maintaining the core values and the intention of losing weight and getting healthier. The second Paleo cookbook that I received is my secret weapon: The Paleo Slow Cooker, by Arsy Vartanian, is a great way to keep on track with just a little planning ahead. I don’t use my slow cooker enough, and this cookbook has been a great nudge to pull it out of the cabinet and leave it on the counter. Another beautiful cookbook, with full page images of the creations, the use of the slow cooker makes planning ahead easy. I tried the Honey Mustard Caveman Drumsticks, which were savory, sweet, spicy, sticky and downright delicious. I halved the recipe and still had plenty to put in the fridge, and they keep very well. Pair the Drumsticks with an off dry Riesling or Viognier for a pop of flavor. Enjoy these recipes with a glass of wine and plenty of water, and toast to good health and tasty food in 2014! These cookbooks were provided by the publisher or PR agent for consideration. Here you go gals! This is a guest post from Carolyn Pannone, who loves makeup as much as the rest of us! I will follow up with my own review when my kit gets here. This is a review of the July 13th Tarte TSV from QVC, the Maracuja 6 Piece Color Collection. This is available as a one time shipment or an auto delivery shipment for $49.96. This TSV came in a beautiful keepsake box. It was very sturdy with a floral print in shades of purple and pink. Included with the 6 products was an instruction guide and a generous sneak peak sample of their new eye brightener. In future Auto Delivery shipments the foundation brush will be replaced by a new full sized cosmetic item. The new Maracuja Miracle Foundation is in liquid form and comes in fair, light, medium, tan and deep. I am on the lighter side if medium and I found this foundation very forgiving. It blended in easily and offered light/light-med coverage. I believe these foundations will run a bit on the light side, as do most Tarte foundations. The dual sided ModernEyes Waterproof Cream Shadow/Liner Duo in Plumberry/Plum Brown was a deep purple. I did not see any red in it. The products glided in smoothly and had great staying power. The shadow had a lovely shimmer. The eye products have a long staying power and set well. After 30 seconds of vigorous rubbing, they didn’t budge! The Gifted Amazonian Clay SMart Mascara tube is huge! The brush is full and did a good job of both elongating and volumizing my lashes. The Maracuja Oil in a travel rollerball comes in a convent roller ball. Great for touch ups on the lips, eyes and cuticles in the go. The lip surgence in Smitten is a shimmery pink without being glittery. It has a built in sharpener in the cap, which is new for this product. addition. It instantly brightened my undereye area. At .5fl oz, it is the size of most full size eye creams. The included brush is ok. I am glad we will only get it in this shipment. I prefer to apply foundation with my fingertips, and will re-purpose this brush. Sounds like a great kit! I can’t wait to get mine and check it out for myself! Thanks Carolyn for your review! Happy weekend chickas! I hope you’re enjoying your Saturday. As for me, I’m sitting here in a very warm, very rare, San Francisco day, trying to sort through all of my makeup. I’ve realized lately, that I’m completely obsessed, and while I love it – I have too much. In fact, I have more makeup than a Sephora on a bad day. I have so much, that I can’t possibly use it all in my lifetime. So, as I’ve been going through my makeup and trying to clean up a bit, I’ve decided to embark on a Project 10 Pan. This is also known as Project Tin Pan. What you do is select a number (in this case 10) of products that you waant to try to use up. During the time, you aren’t supposed to use any other products in that category until you’re 10 are used up or “hit pan”. I’ve changed that a bit, so I have 2 foundations, 2 primers, and some other bits. So here goes. Stila One Step Makeup in Tone. This really is a lot more like a BB cream than a foundation, since it’s primer, foundation, concealer and powder. I got this on a Stila sale for $5, and I really like it. It turns out it’s normally $20, so even if I use it up – I would love another, but I’ll wait for a sale. Smashbox Camera Ready BB Cream – this is my favorite of the BB creams I’ve tried (except Cho Yo Bang that I love but has parabens). I’ve been using this almost every day, and love the light to medium coverage with a bit of powder over it. Too Faced Primed & Poreless – this is hands down my favorite primer for mineral makeup. In fact, it’s my favorite primer period. But since I have a dozen primers, I need to use it up. BE Neutralizing primer – I’ve used this a couple of times, and really like how it hides the redness and evens out my skin tone. Tarte Gifted Mascara – I like this one quite a bit, but I have others I like more, so time to use it up! Mally Liquid Face Defender Blush in Lighter – it’s a really pretty rose glow. I have 2 drawers of blushes (eek!) so again, I need to use this up. Tarte Deep Bronze Amazonian Clay eyeliner – I love this product, but I have 40 eyeliners. How can ONE girl have 40 eyeliners? This is a gorgeous deep bronze that really brings out the blue in my eyes. IT Cosmetics Bye Bye Under Eye in Medium – my go to concealer right now. LOVE this product! NARS Smudeproof Eyebase – this is not my favorite eye primer but it works and I like the white color because it opens up my eyes. Stay tuned for reviews and…a big huge giant blog blowout sale! Happy Valentine’s Day! Yes, I know, it’s a few dats late, but this beauty has been a busy lil blogger! Last night, I was so very fortunate to spend my evening with several Facebook friends, gushing over some of our favorite makeup peepes. But more on that later! I’m here to wish you happiness, health, and vitality. What is vitality? Vitality is defined as many things, but in this case, it is exuberant physical strength or mental vigor: a person of great vitality. Or in the case of a maekup addict, vitality is that certain je n’ai c’est quoi, that oomph, that added life to your fave when you put on a favorite product. THe IT Cosmetics Vitality Lip Flush is a 4-in-1 Antiaging Lip Stain that was created to not only last on your smakers for hours, but alos to provide anti-aging benefits. Like all of IT Cosmetics products, they are formulated with uber goodness, containing “Hydra-Luxe” technology – including plum oil, cherry oil, shea butter, aloe, and jojoba. What do they NOT contain? All the icky things that we don’t wnat on our lips, liek Petrolatum and pthlates, and parabens. These lippies are made to be a multi tasking product, which treats, hydrates, conditions and nourishes your lips – which inturn minimizes cracked, flakey and older looking lips. Chuck your lip blam, your lipstick, your gloss and your stain. These beauties do it in one! ANd as always, they are jam packed with antioxidants, including vitamins A, C, and E; acai; green tea; and white tea to help fight free-radical attacks which make you look older. The colors can be very sheer and natural, or a bit darker and pouty; it just depends on how you apply them. The darker colors tay put for hours and really are a true lip stain. The benefit of the LIp Vitality is that they do not dry your lips out. HOw many times have you tried lip stains that leave your lips dry? Not these! Love Story – a petal perfect rich pink berry. I have been wearing them almost every day to fight these chapped lips with some class, and I love them! I want you to love them too, so I am giving away a brand new set to TWO people.been wearing these every day and I just love them! One person will win the Sheer Berries, and one will win the Sheer Pinks. A veil of silk for your eyes! istance, crepey eyelids! Say it aint so! But yes, it’s true. Try as I might, I have a hard time with certain products and certain, shall we shall overly sparkly things hitting these peepers. Now, along came IT Cosmetics, and some fabulous products. I’ve already told you about my love of the Bye Bye Under Eye and Bye Bye Pores, but I’m also here to tell you about my new obsession with the Naturally Pretty Luxe Anti-Aging High Performance Eyeshadow Trios. These eyeshadows are so silky, you will think you just put on a layer of body butter! When I swatched them on my fingers, I swear my fingers felt 10 years young. These smooth trios can be used wet or dry (though I confess I haven’t tried them wet yet) and are the most blendable formula I have ever worked with. What makes them so great? Well for starters, there is no talc, which often times make shadows powdering and less pigmented. These little babies are also packed with green tea, collagen, Acai extract, and anti-oxidants to help keep your lids smooth, and provide anti aging benefits. The green tea is shown to help with puffiness, and the collagen plumps up fine lines. Those anti-oxidants are critical for warding off age inducing free radicals, and the Acai berry is a known super food and ingredient in anti-aging products. There are several color palettes to chose from, but I have been wearing Pretty in Smoke (right) for several days in a row, because you can create either a very soft day look, or a sultry evening look from one trio. I also noticed that even without primer – because I’m not a morning person, and completely forgot to put it on – these shadows last for at least 8 hours without fading. That’s pretty impressive for this girl who normally has raccoon eyes by 10am if she doesn’t use a primer! These trios are best applied with the luxe No Tug Eye Brush, which is a double ended fluffernutter of a honey. On one side, you have a short, densely packed smudge brush. I found that this is fantastic for precision work in the crease, but also for packing on color on the outer 1/3. The other end is a fluffy brush that is great for blending, or applying all over lid color. Did i mention how amazing these are to blend? They simply meld together seamlessly. The trios are $24 on QVC or IT Cosmetics.com; the brush is also $24, however I highly recommend that you take advantage of the QVC deal where you get a trio and the brush for $29. While you might think $24 is steep for one trio, the brush/trio deal makes it very affordable, and in my opinion you cannot live without this brush. Do it! Go get it! A limited selection of IT products is also available on Beauty.com and at Beauty 360. PS if you are shopping online, don’t forget to use Ebates (affilliate link)! QVC is between 3-5%, and other sites can be as much as 12% cash back. I personally love these so much, that I ordered the Pretty in Matte and Pretty in Pearl to add to my collection. Yes, I admit it! I’m an addict! Mica, Dimethicone, Magnesium Stearate, Phenoxyethanol, Tocopheryl Acetate, Retinyl Palmitate, Tocopherol, Magnesium Ascorbyl Phosphate, Water (Aqua), Butylene Glycol, Camellia Sinensis (Leaf) Extract (Green Tea Extract), Collagen Amino Acids, Acai. May contain: Titanium Dioxide, Black Iron Oxide, Yellow Iron Oxide, Red Iron Oxide, Manganese Violet, Ultramarines, Mica, Iron Oxides, Titanium Dioxide, Tin Oxide. Performance: A These shadows wear like iron and feel amazing on. They are so silky and blendable that they are my go to picks right now. Design: A. The flip top, trio pan is easy to pop in your purse and go! Verdict: A You should all pick these up! Yes they are pressed and not loose but they are a fantastic shadow. Now, you my lucky readers, have the chance to win the Pretty in Smoke trio as I have a spare! All you have to do is enter a comment and tell me why you want to try them! Please use the raffle copter form below to allow for extra entries. What wil you buy at the Bake Sale? I love a good bake sale! Brownie, pie, cookies. Tasty treats for the whole family! So when I was reading Laura Geller’s Facebook page and I heard about the Bake Sales TSV, I got doubly excited. FIrst, it’s a set of her fabulous baked makeup products. Second, it was in such a cute package and had bake sale themed names! What is it: A six-piece collection of sinfully sweet products featuring Laura’s bestselling essentials and brand-new treats. Spackle Tinted Under Make-Up Primer in Ethereal, a luminous pearl pink, is an oil-free formula that helps makeup look fresh and flawless for hours. Balance-n-Brighten foundation is a silky formula that brushes on easily. New shade! Blush-n-Brighten in Pink Buttercream leaves cheeks rosy and glowing. New! Introducing Baked Eye Pie Shadow Trio in Birthday Cake. You’ll love the Chocolate, Mocha, and Creamy Strawberry shades that can be used to highlight, contour, and emphasize the eyes. New shade! Introducing Italian Marble Lipstick in Strawberry Toffee. This swirl of light and dark pigments creates a vibrant depth of color with smoothing and softening benefits. The double-ended brush features an eye shadow brush that’s angled for easy contouring and a liner end designed to make lining lids a breeze. Who is it for: Laura Geller fans craving scrumptious new colors to wear year round. Suitable for all skin tones. It comes in a really cute metal tin, which is perfect for…cookies! Or anything else you need to store. I really love the way Laura Geller products are packaged from the Q. So today, I wore the Etheral Primer, which I think gives a stunning glow. Under my eyes and on some spots, I used Makeup Forever Full Coverage Concealer in 7, followed by LG Balance & Brighten in Regular (medium). For my eyes, I started with NARS eye base, and used the Creamy Strawberry all over my lids. Under my brows I used a touch of the highlighter from the Vanilla Nudes kit. In the crease, I used the Mocha shade, and blended it down in to my lids a bit. On the outer V and lid, I used Chocolate shade. I also used the Chocolate wet to line, and went over it a bit with Buxom Lashliner in Suede. Finally, I used Benefit They’re Real Mascara. I had the LG mascara, but I find it too wet and messy, and I am NOT a fan. I finished my brows with IT Cosmetics Brow Power Pencil. On my lips, I used the Strawberry Toffee lipstick. I really enjoy the the Laura Geller lipsticks, and that says a lot for me. I don’t wear a lot of lipSTICK, mostly gloss, because my lips are sensitive to taste and flavor. I wore nothing but MAC lipstick for years, so to find a nice lipstick that is creamy that doesn’t bother my lips is great. I just wish it lasted a touch longer. Finally, on my cheeks I dusted a touch of the Pink Buttercream blush. this is VERY pigmented so a little goes a long way. I had to belnd it down a bit! I really love this kit. For $59.76 (including tax 7 shipping) you get a LOT of product. I signed up for Auto Delivery, so I will be getting 2 more season kits. I love the baked products, so I’m looking forward to this! You can still get the single kit from QVC for $65.76, which is just $6 more than the TSV price. I highly recommend it. The colors are soft and subtle, and it adds a great glow to your complexion going in to winter.